blog home Community Outreach Fight distracted driving AND win money for college! America’s young people live in a dangerous world. You just have to check today’s news to confirm that. Opioid addiction, gun violence and school shootings, suicide, bullying—the list goes on. But let’s look at the numbers to find out what the biggest threat to our young people really is. Prescription opioid overdoses were responsible for the deaths of 886 people between 15 and 24 years old. in 2015. An average of 1,668 Americans, age 19 and younger, are killed by gun violence each year, according to the Brady Campaign, And sadly, suicide is now the second leading cause of death for U.S. young people: 1,748 teenagers, age 15 to 19, committed suicide in 2013 alone. Bullying and social media are often factors in youth suicides. These statistics are heartbreaking, but let’s consider another cause of death for young people that’s relatively new—barely a decade old—yet growing out of control. Eleven teenagers die EACH DAY in America as a result of texting while driving. That’s 4,015 young lives per year. Tragically, this number far surpasses the other major causes of young deaths. Many of today’s teens and adults live on their phones–something we couldn’t have imagined just a few years ago. Distracted driving has already had a cost: Texting while driving is so dangerous that studies have found it is six times more likely to lead to an accident than drunk driving. Sadly, in addition to Mothers Against Drunk Driving, we now need Mothers (and Fathers) Against Distracted Driving. What can we do about distracted driving? As parents, we at GibsonSingleton Virginia Injury Attorneys are deeply concerned about the future and safety of America’s young people. That’s why we’ve launched our “Texts=Wrecks” campaign. We now offer a pledge card for teens and parents to review and sign together, called Keys to Safe Driving. We are also offering a $1,000 scholarship to one student from anywhere in the United States who shares ideas for preventing texting while driving. What can young people do to take a stand against distracted driving? To apply for our 2018 scholarship, students can just fill out our application and write a short essay about safe driving choices. To learn more, check out our GibsonSingleton scholarship page. The deadline is May 30, and we will announce our winner on July 3, 2018. Students, this is your chance to not only win money for higher education, but also to take a stand on safe driving, and (we hope) to influence your family members and friends to do the same. What can parents and other adults do to protect our families? Parents, we have other resources to help you and your teen driver — and to help protect your family — before and after a car accident happens. You can download our tools here, or give us a call at (804) 413-677. As car accident attorneys, we consider it a calling to help people drive more safely to prevent wrecks, and to help them recover after they’ve been hurt. 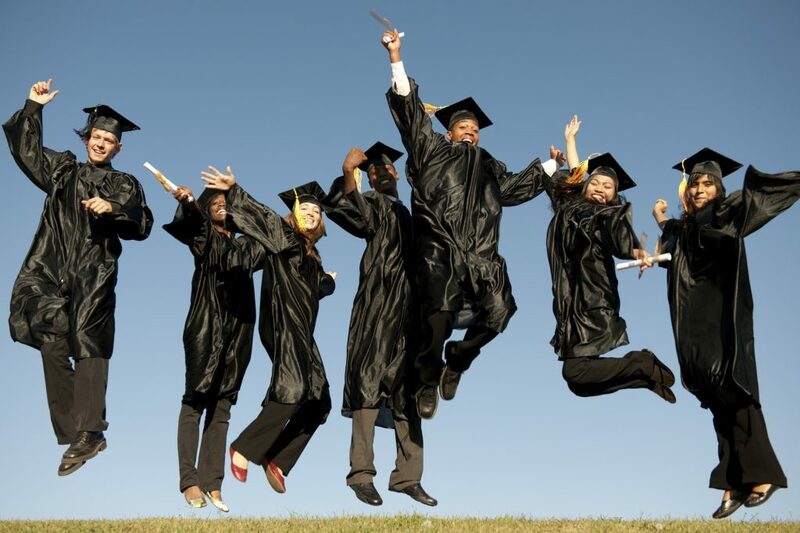 We wish all high school seniors out there the very best in your educational pursuits! We are excited to read your ideas about safe driving and ways to prevent distracted driving!